Transvaginal mesh implants are common treatments for stress urinary incontinence (SUI) and pelvic organ prolapse (POP) in women. Since being approved as a Class II gynecological medical product by the FDA in the late 1990’s, millions of women have received the devices. However, a growing number of women have reported serious vaginal mesh complications, prompting some to file lawsuits against the mesh manufacturers for negligence and products liability. Plaintiffs typically seek compensation for related medical expenses, loss of income, loss of spousal consortium, pain and suffering. As recently as September 2013, one plaintiff was awarded $2 million in damages from a federal court jury, while two other plaintiffs involved in the same consolidated litigation reached transvaginal mesh settlements of undisclosed amounts with mesh manufacturer C.R. Bard. With approximately 30,000 vaginal mesh lawsuits currently pending in state and federal courts (and the number expected to rise to 50,000), recent news reports have indicated that at least 5 defendant mesh manufacturers are currently negotiating comprehensive settlements with attorneys representing plaintiffs. Several surgical mesh plaintiffs have received favorable jury verdicts. In 2012, plaintiff Christine Scott and her husband were awarded $5.5 million in their vaginal mesh lawsuit against C.R. Bard, while Linda Gross was awarded $11.1 million in damages from Johnson & Johnson. Both of these plaintiffs underwent numerous revision surgeries and suffered debilitating vaginal mesh complications. In Scott v. Kannappan, the plaintiffs, Christine Scott and her husband, charged that C.R. Bard was liable for manufacturing a defective vaginal mesh implant and for failing to warn patients and doctors about the potential risks. The California state jury agreed, and in July 2012, they awarded Scott $5 million as compensation for her injuries, as well as $500,000 to her husband for loss of consortium. According to one of the lawyers involved, the jury appeared to hone in on evidence that demonstrated a failure of C.R. Bard to properly test the product prior to marketing it. The panel decided that Bard was 60 percent liable for Scott’s injuries while Dr. Tillakarasi Kannappan, who surgically implanted the surgical mesh in 2008, was responsible for the remaining 40 percent of the damages. Christine Scott had been an active runner. She underwent surgery to implant two Avaulta Plus mesh devices to treat her urinary incontinence. However, the mesh pierced her colon. Scott was forced to undergo eight revision surgeries and nine other procedures in an attempt to remove the implants and correct the problem. Unfortunately, doctors were unable to remove the Avaulta device during mesh removal surgery. Scott suffers from ongoing medical problems, including chronic pain, incontinence, and sexual dysfunction. Linda Gross is another plaintiff who was awarded a multi-million dollar jury verdict after suffering irreversible injuries as a result of her vaginal mesh implant. Gross is a South Dakota nurse who received Ethicon’s Gynecare Prolift mesh. Gross had the implant to treat her pelvic organ prolapse. The plaintiff endured 18 revision surgeries in an attempt to correct these issues. Her suit claimed that the product was defective and that Ethicon and parent company Johnson & Johnson failed to warn about risks of mesh complications. Although the jury determined that the product was not necessarily defective, they did agree that Ethicon misrepresented the product and did not fully disclose the risks. As a result, they awarded the plaintiff $3.35 million in compensatory damages and $7.76 million in punitive damages in February 2013. The Gross complaint was a bellwether trial in New Jersey multi-county litigation (MCL) underway in the Atlantic City Superior Court. This MCL, which was previously known as a mass tort, includes nearly 2,000 similar lawsuits on behalf of plaintiffs seeking jury awards or settlements. Of the thousands of lawsuits that have been filed against the seven manufacturers, many have been consolidated in federal multidistrict litigation. There are seven MDLs pending against manufacturers, six of which are proceeding in the U.S. District Court for the Southern District of West Virginia. Centralizing claims with similar allegations as part of an MDL allows for much more efficient pre-trial proceedings, as it helps prevent duplicative discovery and inconsistent judicial rulings. Multi-county litigation functions in much the same way as an MDL, but involves claims filed in state courts. Joining a transvaginal mesh class action lawsuit is another option for plaintiffs, in which a group of people with common causes of fact file one complaint against a defendant. This means that there will be one trial and any jury award or settlement will be split evenly among the group according to a predetermined set of criteria. At this time, a U.S. vaginal mesh class action is not taking place, but those filing a mesh lawsuit may be able to join coordinated claims pending in West Virginia and New Jersey. MDL 2326: Boston Scientific Corp.
It’s impossible to predict the exact amount a jury will award a plaintiff or the amount that a company might agree upon to settle a case, but a number of factors contribute to the final figure. Juries consider the extent and severity of the complications that the plaintiff experienced and whether her medical problems are permanent. They also consider any revision surgeries that were required and the extent to which symptoms might interfere with daily life (i.e. chronic pain). Finally, tangible economic losses, such as past and future medical bills, loss of wages, and any related expenses, are also measured. In addition to these compensatory damages, the amount a plaintiff can expect to be awarded can also be increased by punitive damages against the company. 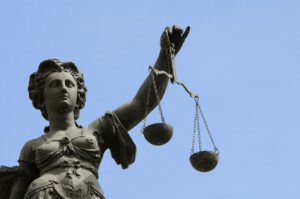 If the jury verdicts rendered in these early case trials continue to be favorable, defendants may begin to offer certain plaintiffs a vaginal mesh lawsuit settlement in lieu of a long and an expensive jury trial.